Welcome to The Inn at Vaucluse Springs! 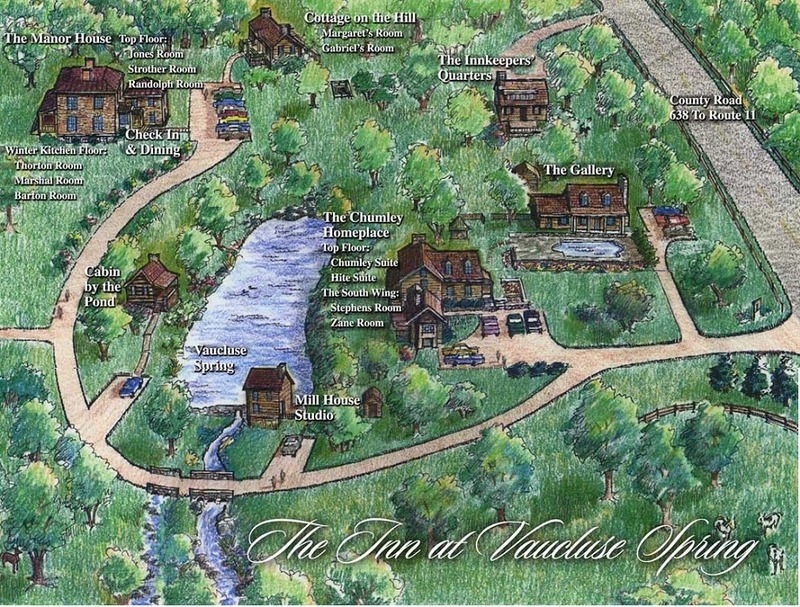 Our grounds map is a great way to virtually take a look around our property and discover what makes us one of the most unique and romantic places to stay in the Shenandoah Valley! If you have any questions concerning our inn and accommodations or interested in learning more about our wedding ceremony spaces, feel free to contact us at 540-869-0200. We’ll be more than happy to help. Also, don’t forget to check out our blog or request your FREE copy of our Shenandoah Valley Vacation Guide to find nearby activities and attractions that you won’t want to miss.